A full range of services for employees with job-related injuries. 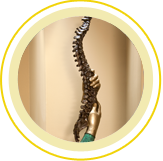 Spine & Scoliosis Specialists offers a full range of services for employees with job-related injuries, including on-site physical therapy services and an in-house pharmacy that allows us to dispense medications directly to patients in our office. The experienced staff in our Workers Compensation Department is dedicated to meeting the needs of nurse case managers and injured employees. Our medical staff includes two board-certified, fellowship-trained spine surgeons, as well as a board-certified specialist in physical medicine and rehabilitation with advanced training in interventional spine care. Our goal is to provide patients with prompt, individualized, compassionate care that helps them return to productive lives. 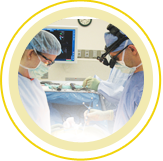 We emphasize conservative therapies, avoiding surgery whenever possible. Our innovative techniques help minimize patients’ recovery time while maximizing their long-term results. We provide prime-time appointments (8 a.m. – 9 a.m. and 2 p.m. – 3 p.m.) to case managers so you can make the most of your work hours. Most medications prescribed for Workers’ Compensation patients can be dispensed through our in-house pharmacy, pre-packaged in labeled containers. This convenient service avoids the need for a co-pay and allows patients to begin medications more quickly, eliminating the wait for insurance authorization and prescription pick-up at the drugstore. Please note that patients who are prescribed controlled substances will need to have those prescriptions filled at a pharmacy. Molly Carroll, our Workers Compensation Coordinator, heads up our dedicated team of Workers’ Compensation specialists. Molly and her team work closely with case managers, handling all aspects of your patients’ care. They will schedule appointments, answer billing questions, order MRIs, obtain prescription refills and answer any other questions you may have.